Wapiyapi was established in 1998 by University of Colorado medical students in order to help children with cancer. As of 2011, our annual summer camps and retreats have served over 1,100 children in a safe and nurturing environment that allows these patients and their families to understand that they do not face their challenges alone. Camp Wapiyapi is a place where campers can make strong and lasting friendships. 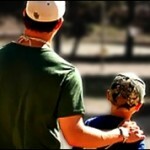 Each camper is paired with an adult volunteer companion with whom they can share a unique, one-on-one relationship. Campers also develop a deep camaraderie with the other children at Camp Wapiyapi. Through these bonds they are able to draw strength, courage, and peace.